Brian Molko is a famous Musician from Belgium, he is 46 years old and still alive, born December 10, 1972. 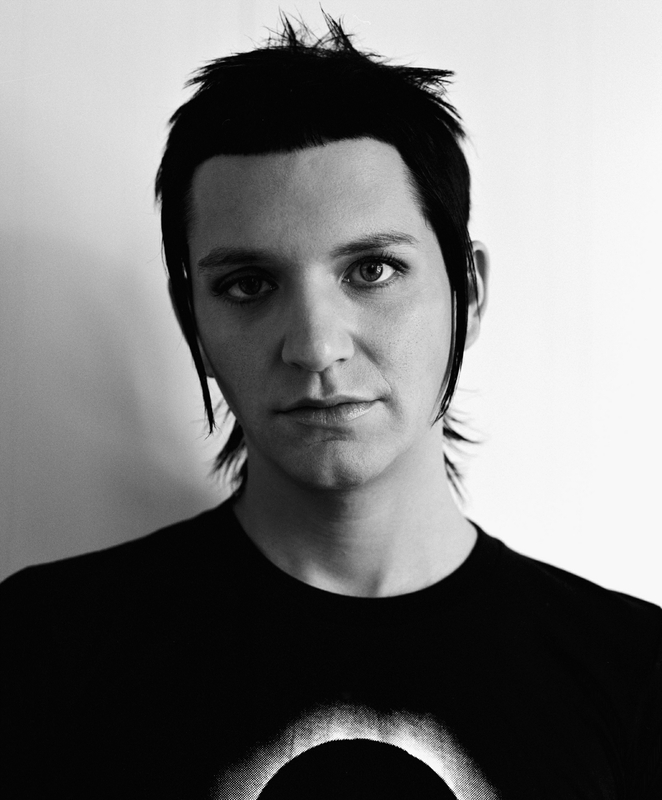 Brian Molko (born in Brussels) is the lead singer and guitarist of the British "alternative" band Placebo. He and former school friend Stefan Olsdal, the band started in 1994. The band released their first album in 1996 also named Placebo. Molko is bisexual and has a feminine look. He is born under the zodiac sagittarius, who is known for Philosophical, Motion, Experimentation, Optimism. Our collection contains 16 quotes who is written / told by Brian. "I'd be interested in finding out if there is a light you walk into, and if you do meet people from your life and walk hand in hand with Jesus. I would hate for my death to be tragic: I'd like to be old when it happens. But hopefully a young death is unlikely"
"Dresses, I find, are impractical in social situations, but I enjoy wearing them a great deal on stage"
"I guess the line between being paranoid and being a rock star is smaller than one would expect"
"I believe very strongly that when it comes to desire, when it comes to attraction, that things are never black and white, things are very much shades of grey"
"Being so honest in my writing is cathartic"
"Placebo is music for outsiders, by outsiders and our gigs are like conventions of outcasts, which is cool"
"The more you'll dress up the more fun you'll have"
"So, then you find yourself in a situation where you have to do things because they're on offer to you, because you don't have much self-respect left. You just can't say no, even to something that you've never done before. You just can't help yourself"
"Imitation is the highest form of flattery, but clones kind of get it wrong because we are promoting individuality and being proud of being yourself"
"I refuse to be held responsible for bringing back a wave of pasty-faced people into the world"
"I love being a freak. It's great!" "I'm tired of being around men all the time. I'm going to start a band called Skirt with three girls and I'll play the guitar and sing backing vocals in drag. I went window shopping when I was in New York, saw a lot of amazing dresses"
"I feel very comfortable with the way I look, and I feel very comfortable with the kind of confusion that it creates in people's minds"
"There's a hell of a lot of freedom in this rock and roll circus... it's where all the freaks go - it's the environment for me"
"My mouth has a tendency to get me into trouble, but because I'm so small and I take on people who are lager than me. If someone punched me, I'd get my drummer beat them up"